One of the biggest questions people have about online gift card exchange is how, exactly, online payment works. Understandably, many individuals who are new to the world of swapping or selling gift cards on the web are nervous about exposing their personal or financial information, and they want to know how best to keep themselves safe while sending or receiving money. Fortunately, technology has addressed this problem and made the issue of secure online payments less worrisome. The solution is a platform we’ve likely all heard of: PayPal. PayPal is a secure online payment system that uses bank-level encryption to keep personal and financial information secure during virtual transactions. Used by many gift card resellers around the globe, it’s the No. 1 way to enjoy peace of mind as you swap your gift cards. Here’s what you need to know about the process, and why gift card exchange with PayPal is the best way to get more value from your unwanted cards. Right now, PayPal has upwards of 192 million active users and more than 15 million merchant accounts on the site. In 2015 alone, the site processed more than 4.9 billion payments in more than 100 currencies. PayPal operates in 203 markets and handles a solid average of 1.5 million OneTouch transactions each week. With these numbers in mind, it’s easy to see why so many people trust PayPal as their online payment resource, and why so many discerning gift card resellers insist on using the platform for payment processing. Head to PayPal.com and complete the sign-up form. You’ll be required to enter simple information like your name, age, and phone number, as well as your email address. Once you’ve completed the form, click “submit.” PayPal will then send you an email to confirm your email address. Once you receive the confirmation email, click the link in the body of the email to confirm your email address. This validates your account and allows you to move on to the next step. The next phase of setting up a PayPal account is connecting your bank. If you have several accounts, be sure to link the one where you’d like to send and receive payments. You’ll need your routing and account number, or your credit card number, if you prefer, for this step. If you link a bank account, PayPal will ask you to verify the account by receiving two “micro-deposits” (of less than $1.00 each), and then inputting their amounts into the PayPal platform. You’re done, and now you’re free to get busy in gift card exchange with PayPal. Just remember never to give anyone your payment information – PayPal handles the entire payment process securely on your behalf. All you have to do is provide your PayPal email address to receive payments, and use the PayPal option to send payments online. It’s straightforward and safe! If you’re going to exchange or sell gift cards online, keeping your financial information secure is a primary concern. Fortunately, PayPal makes doing this easier than it’s ever been. 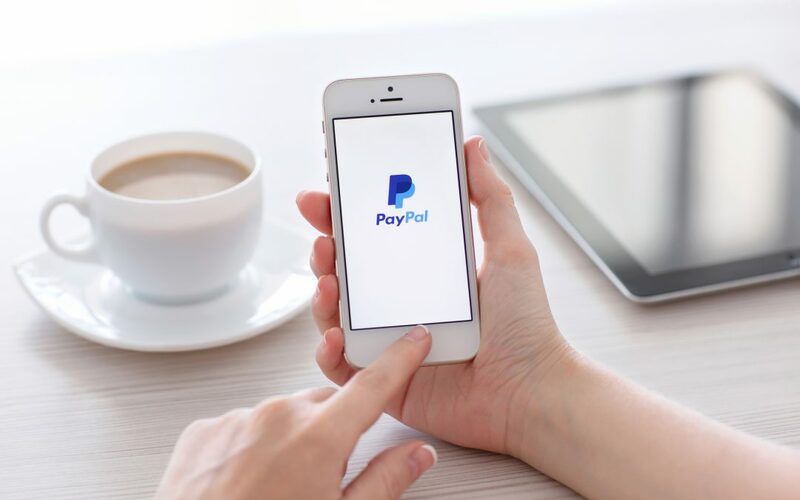 By linking your financial information to the PayPal platform and then using high-quality encryption to keep it safe and well out of the reach of criminals and prying eyes, PayPal makes sending and receiving money online a stress-free process. Don’t hesitate to use PayPal during your future gift card resale or swap. Payment will be simple, and you can move through the process knowing that your information is in good hands. If you happen to run across a gift card reseller who doesn’t use PayPal, be suspicious. PayPal is the gold standard in online financial security today, and opting out of using it is a good way to put yourself at risk of scams and identity theft. The most reputable online gift card resellers always put the security of their customers’ financial information first, and you know you’re working with a discerning company if you find that they process their payments through a secure platform, such as PayPal. To learn more about gift card exchange, or to start selling your unwanted gift cards now, head over to EJ Gift Cards – your online source for fast, friendly gift card swaps!